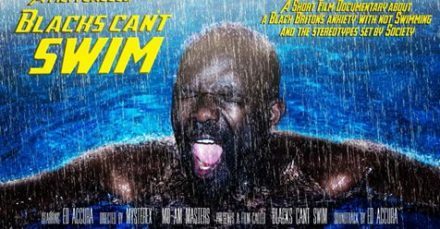 A Film Called Blacks Can’t Swim highlights, challenges and discusses some very interesting perceptions on the myths and stereotypes that surround Blacks and Ethnic Minorities when it comes to swimming. The objective of this campaign is to raise funds to enable us to use this film as a tool in raising awareness around the high percentage of people of black and Ethnic Minority that fit in this category. The end result is to get more people swimming and less drowning.